Tonight we present Triple Trip featuring three strong doses of psychedelic cinema. First up: Alejandro Jodorowsky's legendary headtrip The Holy Mountain(1973). Next: Terry Gilliam's anarchic adaptation of Hunter Thompson's gonzo classic Fear and Loathing in Las Vegas (1998). Finally, just after midnight, a free screening of the hallucinatory kung-fu freakout The Boxer's Omen (1983). In a world dominated by greed and materialism, an alchemist (Alejandro Jodorowsky) takes a Christlike thief (Horatio Salinas) as his apprentice. Then he selects seven others for a spiritual journey to The Holy Mountain, where they will discover the secret of immortality. 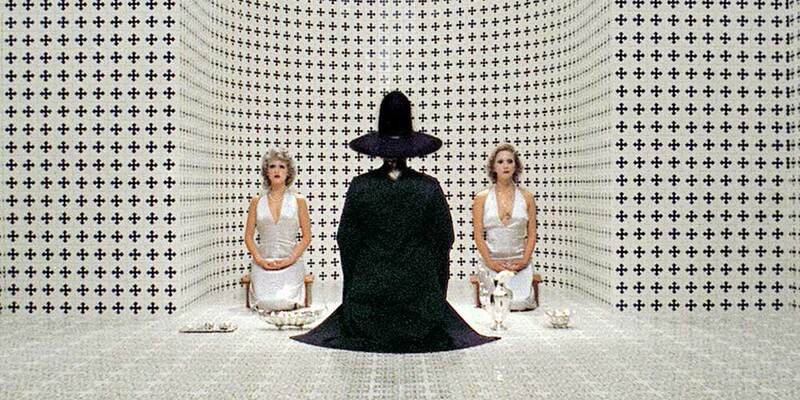 Visionary, grotesque, hilarious and horrifying, Alejandro Jodorowsky's surreal cinematic head trip is perhaps the most potent cult film of all time. Its outrageous, unforgettable images—dense with esoteric and occult symbolism—and hypnotic score (composed by jazz trumpeter Don Cherry) weave a powerful spell. Watch the trailer. Directed by Alejandro Jodorowsky, 1973, Mexico/USA, 113 minutes. In English & Spanish w/ English subtitles. The Boxer's Omen is free.